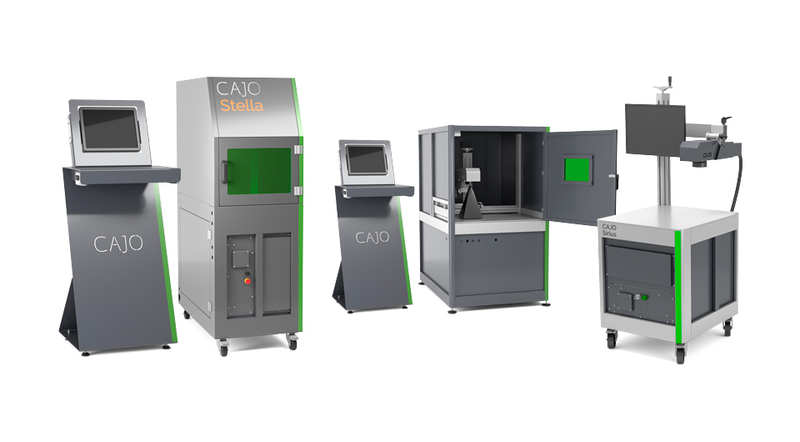 Cajo Technologies produces innovative laser marking solutions for all industrial marking purposes, covering all the needs for traceability, identification and product markings. We offer both integrated and stand-alone system solutions for accurate, sustainable and fast markings for challenging materials, made on the fly to match your production line speeds. Our patented technology is based on an innovative application of the traditional laser beam. It allows for extremely precise, permanent and practically everlasting marking or colour patterning on almost any material without additives or pigments. Thanks to our innovative solutions, the marking process is extremely fast. Marking Cajo Technologies offer you unique marking solutions for color marking and decorating a wide range of material and products. Design and Branding The patented color patterning and laser marking technology developed by Cajo Technologies offers you a wide range of options for customized design & branding of your products.